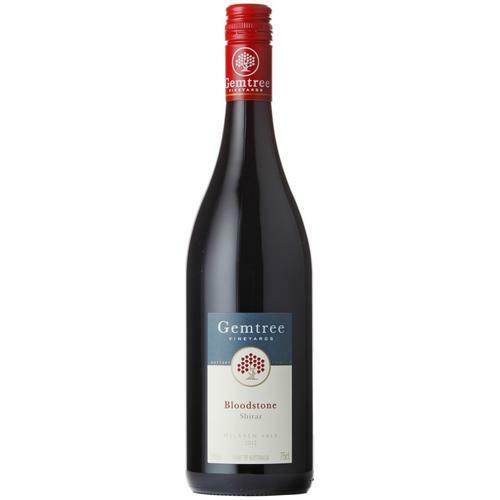 Lifted fruity aroma displaying dark fruits, ripe cherry, raspberry coulis and black currant with hints of bay leaf, eucalypt and moccha. A medium-full bodied wine with good structure and flavours of cherry, blueberry, Ribena and dark chocolate with hints of cedar and savouriness. 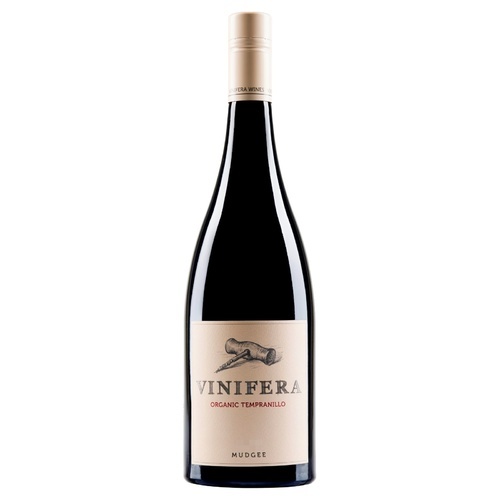 The tannins are noticeable and slightly grainy while the finish is long and juicy. What is Sulphur dioxide? Sulphur Dioxide (SO2) is an antibacterial and antioxidant added to many foods including wine, sausages, preserved meats and dried fruit and usually represented on the label as ‘preservative 220′. It’s a colourless, non-flammable gas. In water it will dissolve to reach a concentration of 12%. Why is sulphur dioxide used in wine making? Grapes can be damaged by birds, rodents, foxes, weather and fungi. Harvested indiscriminately they can carry a heavy load of micro-organisms. Harvested grapes are usually warmer than 20°C and at this temperature these organisms multiply rapidly. In such circumstances unfavourable outcomes are likely. How does it affect humans? At high concentrations SO2 is highly corrosive to mucous membranes, upper respiratory tract, eyes and skin. In dry wine the maximum permissible level is 0.025% measured as free sulphite. It can be detected as a burnt match odour. This can produce air passage restriction in susceptible individuals. Some are intolerant of sulphites. Those susceptible, report headache and bodily discomfort including face flushing, feeling poorly overnight and on the following day although amounts ingested may have been small. 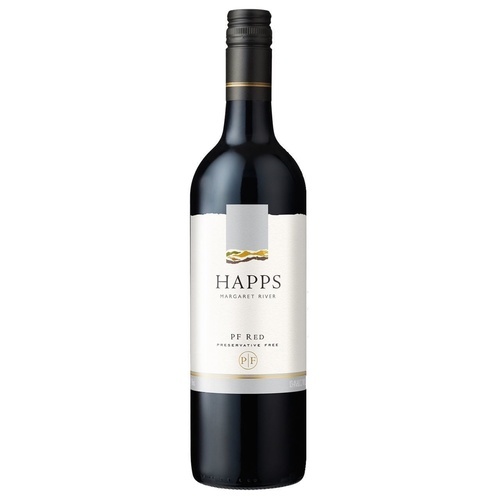 How does Happs manage to make preservative free wine when the prevailing wisdom is that the task is fraught with hazard and unlikely to meet with success? Firstly, due to the use of nets we begin with undamaged raw materials. Harvest by hand keeps the fruit intact. Thirdly, our grapes have naturally high phenolic content, a natural antioxidant. This is due to the fruit having a greater exposure to sunlight in turn due to our dual row trellising system that disperses the foliage to a much greater extent than other systems of viticulture, especially the more restrictive systems designed for mechanical harvesting. Fourthly we chill fruit prior to crushing. Fifthly we have developed techniques to keep wine cold for long periods of time without breaking the bank and to keep it away from the air. Alcohol levels are generous. None of this is rocket science! Is ‘Organic’ the same as ‘Preservative Free’? Can we have both together? The short answer to this question is that the term ‘organic’ properly relates to practices in the vineyard. Most organic protocols allow the use of sulphur dioxide in the winery. It is possible to use organic methods without seeking certification. It is also possible to produce wines from grapes grown using organic methods without using sulphur dioxide or other known allergens. That is our approach with our Preservative Free wines. You then have the best of both worlds. Is elemental sulphur used in the vineyard a source of sulphur dioxide? The elemental sulphur used to protect vines from powdery mildew is not a source of sulphur dioxide in wine. Sulphur is a naturally occurring element and was used as a medicine prior to the discovery of antibiotics (Sulphur drugs). Sulphur dioxide is an oxide of Sulphur with entirely different properties. At what point in the wine making process is sulphur dioxide added? In conserving barrels when empty. Given the potential for premature spoilage in mechanically harvested vineyards, the most critical use of sulphur dioxide is undoubtedly as a bactericidal addition to the picking bin. It is useful in inhibiting oxidative enzymes. It is a low level scavenger for oxygen picked up whenever wine is exposed to air or kept in poorly sealed or air permeable containers. A supply of oxygen is all that is necessary to degrade flavour and support the growth of acetic acid bacteria. The addition of add SO2 just prior to bottling is primarily intended to neutralise some of the oxygen that can be absorbed during the bottling process. How effective is sulphur dioxide against the growth of unwanted organisms in bottled wine? In fermentation, yeast converts sugar to alcohol. The next ferment possible is the bacterial conversion of malic acid to lactic that is sought to make an acid wine softer. From this point further fermentation is undesirable. Given sufficient air, acetic bacteria will multiply to produce vinegar. Of course if a wine goes to bottle with either sugar or malic acid, fermentation is possible. Because red colour binds sulphites, sugar or malic ferment is likely in red wines where these substrates are present after bottling. The usefulness of the ‘preservative’ therefore depends upon the wine type, the presence of fermentable substances, the presence of air and the type of organism in the bottle. Low pH helps to keep more sulphur dioxide in the active form. High alcohol and very high sugar contents are independently antagonistic to further ferment. In practice the only sure method of preventing further ferment is to exhaust that possibility beforehand or filter the wine so that the organisms are not present after bottling. The ‘antimicrobial’ or ‘preservative’ role that sulphur dioxide might perform after bottling is something that cannot be relied upon. How important is sulphur dioxide in bottled wine as a defence against oxidation? The requirement for an antioxidant depends upon the porosity of the container and closure to air. Plastic materials admit air whereas glass and screw caps are relatively impervious. Corks admit variable quantities of air giving rise to the old adage that there are no great old wines, just great bottles. However, depending upon its constitution, a wine needs some air to facilitate the aging process. Without this air some wines become reductive and smelly. The greater the natural tannin in the wine the more protection it has against oxidation. This is why reds age longer than whites. When white grapes are exposed to more sunlight more phenolics are generated and that helps a wine resist oxidation. This is the rationale that we follow. The phenolic (tannin) content of a wine is linked with its ability to protect against heart damage because phenolics are great antioxidants. The long lived wines have their own natural protection against oxidation and they are also the wines that will guard against heart disease. What enables some wine to evolve to a more interesting product after bottling? The natural preservative in wine is alcohol, tannin (phenolics) and natural acidity. A good natural acidity is the product of cool ripening conditions and is usually accompanied by a good depth of flavour. The presence of sulphur dioxide after bottling is largely irrelevant to a wine of healthy constitution except that it will assist in taking up oxygen that can be picked up during bottling or via a container or a stopper that is permeable to air. To suggest that sulphur dioxide is ‘the preservative’ in wine overstates the case. The aging capacity of the wine after bottling is conditional on its depth of flavour, freshness at bottling, the bottling technique, container type, closure type, the presence of fermentable substances and the presence of organisms capable of degrading the wine. Unless these latter conditions are met no amount of added ‘preservative’ will assist. A great wine lives on its natural constituents that came from the grape. A wine under cork needs freshening up to the extent that the cork seals poorly. In this case some sulphur dioxide will assist. What are the allowable limits for sulphur dioxide in finished wines? The limit is defined in terms of the amount that is present by analysis and depends upon the type of wine made. In practice these legal limits are not approached in modern winemaking except when accidents or miscalculations occur. Dry wines are allowed 250 parts per million but rarely exceed 150 parts per million. Happs whites rarely exceed 100 p.p.m. at bottling and reds 50 p.p.m. At release, levels are less than that. Of course our PF Wines have none. What is the extent of use of sulphur dioxide in modern winemaking? With the widespread use of refrigeration and inert gas to prevent exposure to air, and the availability of effective filtration, the amount of sulphur dioxide encountered in wine is much less today than it was 50 years ago. SO2 binds substances that evolve during ferment and the more that is used in the beginning, the more that is required in the end. The advantage for wine makers lies in reducing its use because a more palatable wine will result. I believe that, as we discover that we can make good wine using other tools we will rely less and less on this antiseptic. The sounder the grapes and the more considered the winemaking strategy, the less is needed. In recent years the effort to control Brettanomyces yeast has promoted the more rational use of sulphur dioxide in winemaking with less frequent but heavier additions and a higher ratio of ‘free’ to ‘total’ present in the wine. It’s worth noting that we have never seen an instance of Brett in a PF wine yet. Is sulphur dioxide produced by yeast during ferment and therefore an inescapable constituent of wine? Under difficult fermentation conditions that apply when grapes have a low amino acid status sulphite is excreted by yeast. These fermentations commonly produce rotten egg gas. In fact, the production of sulphite by yeast is anathema in modern wine making and is a recognised difficult situation that will be avoided wherever possible. Red fermentations never produce sulphite. I do not regard the observation that yeast can produce sulphite as a defence of the practice of adding sulphur dioxide. The sulphite that can be produced by yeast is in any case fully bound and inactive in the human body. What are the active forms of the chemical in wine? When added to wine the result is SO2, HSO3 (bisulphite) and H2SO3 (sulphurous acid). These are collectively called ‘sulphites’. The active bactericide (SO2 and HSO3) is readily absorbed into some organisms. However the bactericide is present in fractional amounts depending upon pH and the constitution of the wine. The presence of compounds that bind strongly to sulphite including acetaldehyde, pyruvic acid and anthocyanin (red wine colour) leaves only a tiny portion that is active against micro-organisms or oxygen. When added in amounts that will secure microbiological stability and freedom from the effects of oxidation at a pH which is palatable, the sulphite is all too obvious on the nose and the palate. What organisms are controlled, not controlled, and how to control? Sulphite inhibits the action of bacteria that metabolise malic acid. However it has little activity, when present at permissible levels, against sugar fermenting yeasts, brettanomyces yeast or acetic acid bacteria. It should be noted that these are the major spoilage organisms of wine. The best safeguard against these organisms is to make sure that there is nothing further to ferment, and if there is, to filter the wine clear of the organism or to keep it cold so as to inhibit activity. Yeast, including brettanomyces species will not grow appreciably if the wine is free of fermentable sugars. Acetic acid bacteria will not grow in the absence of air. Malic bacteria will not grow unless malic acid is present. In what form is sulphur dioxide purchased? Sulphur dioxide is usually purchased by wine makers in a gaseous or powder form and is readily soluble in water. The powder used is potassium metabisulphite. What is a safe level for ingestion of Sulphites? The joint FAO/WHO Expert Committee on Food Additives in 1974 established an acceptable daily limit of 0.7mg per kg of body weight. This translates to 56mg for an 80kg individual (0.056grams). A 750ml bottle of wine containing 150 parts per million sulphites contains 0.225grams. On that basis the daily allowance for such an individual is met by consumption of 187 mls of such a wine. After three years in bottle the sulphite level in a white wine may drop by half. Then, twice as much wine may be consumed without exceeding the daily allowance. Red wines start their bottle life with perhaps half the level of sulphite as white wine and may also be consumed in twice the quantity. However, it should be noted that wine is not the only food containing sulphites. 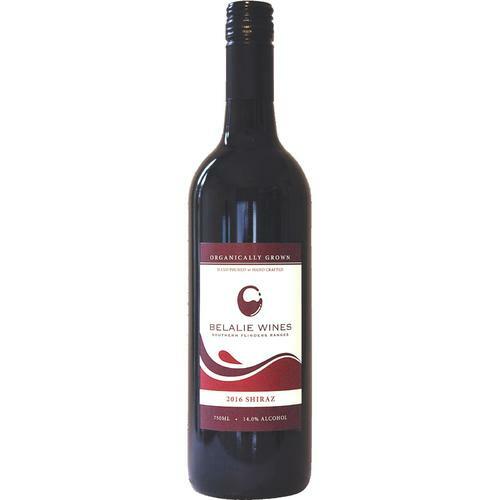 Help other Organic Wine users shop smarter by writing reviews for products you have purchased.